Select candidates from SmartRecruiters, and get fast Yes/No consolidated responses from candidates related to job interest, availabilities etc. without wasting time on the phone. Timeko licensing is a price per site and/or per user depending on customer organizations. 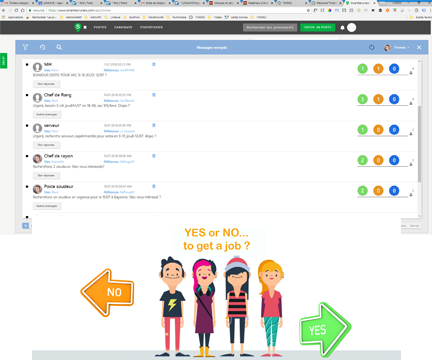 You simply select users from SmartRecruiters job screen, create a new Yes/No message or info message. Timeko retrieves all selected users, the job Title and reference. Sets your message and sends. You get real-time consolidated responses and manage your communication flow from SmartRecruiters.